Your removal company Access Transport, will ensure the necessary materials for your move will be delivered to you in plenty of time. Upon signing of the final removal contract, we will assign a team of professional movers for your home or office move. We will make the arrangements for the delivery of the moving boxes and tape. We will provide any other special equipment and tools needed for your move. We can cover every detail including the packing. 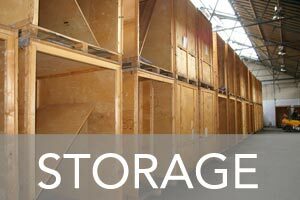 In fact, when you move we can pack for you, move you, unpack and provide storage. If you require our team to do the packing, make sure that you have segregated which items to pack, and which items will go separately. We provide hanging wardrobe boxes for your formal wear, television covers for flatscreen TVs. Covers for precious items and mattresses. Padding and boxes for fragile items. We have a professional crew at Access Removal company Sutton. We will see to it that all your items will be boxed and ready to go according to the timescale. If there is a need for a handyman during the move, we will take care of this need too. You don’t need to leave everything to the day before the move. Consider what you don’t need to take with you, what will need careful packing, and that you are covered for potential breakages. Take some time to sift through your belongings and have a clear-out. You can make up a box for charity and if you’ve time, hold a car boot sale or log onto an online auction, then put the proceeds of your sold goods towards some re-decorating or a new carpet. Don’t completely fill large boxes, as they will be too heavy to move. Unless you travel light, you won’t be able to unpack everything in the first day, so it’s worth deciding what you might need easy access to soon after you cross the threshold of your new home. Pack an ‘essentials’ box for the first night in your new home and carry it with you. Instant access to coffee, tea, snacks, cups and a kettle may be welcome soon after you arrive. As will plates, utensils and a kitchen cloth. Wrap items individually and place in a box that’s been lined with several layers of newspaper and a sheet of bubble wrap. Any breakables should also be wrapped in bubble wrap. Use clean tissue or wrapping paper for the first layer to prevent newspaper print leaving marks. Pillows and blankets are also useful for wrapping valuables and protecting furniture prone to dents and scratches. Use the form below and we’ll call you straight back during working hours, or the next day. Alternatively call us free from a landline on 0800 542 3459. You only need to call us or use our contact form to request a free site survey. We can assist you whether you are moving from Sutton, Twickenham, Kingston, Epsom or surrounding areas, or if you are moving into these areas. 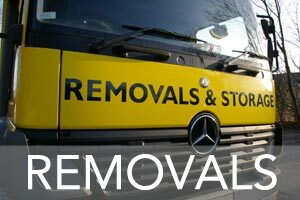 Our removals service will need to survey your home first and collect the necessary details to provide you with an accurate quotation. Our surveys are generally under an hour long, we can provide you with a list of the materials you will need for your move including boxes and tape. We also can advise you on handling precious items, wrapping and care. RH - KT - SM Postcodes including Redhill RH1, Reigate RH2, Betchworth RH3, Dorking RH4, Kingston KT1, Kingston KT2, New Malden KT3, Worcester Park KT4, Epsom KT17, Ewell KT17, Stoneleigh KT17, Epsom Downs KT18, Sutton SM1, Sutton SM2, Cheam SM3, Banstead SM7 and all Surrey Areas. TW Postcodes including Teddington TW1, Twickenham TW11, Hounslow TW3, Isleworth TW7 and all South West London areas.